Los Angeles Lakers (12-50): The Kobe Bryant farewell tour continues, and this will be the last time the Hawks play against the 18 year vet. He’s also questionable to play with a sore shoulder, and Jordan Clarkson is questionable with a Patellar Tendon Strain. On the bright side, D’Angelo Russell has posted great numbers for the Lakers in the past games. This game should be a cake-walk for the Hawks. But we’re the Hawks, so it will probably come down to the last minute. Los Angeles Clippers (40-20): The Clippers just came off an emotional win against the Thunder on Wednesday night. They were down by as much as 20 going into the 2nd half and went on a 22-3 run with 5 minutes left in the 4th quarter to secure a victory. The first time around the Hawks and Clippers played it was a close game, but Paul Millsap missed the game-tying layup and LA came out with a 85-83 win. In order for the Hawks to win this game, they’re going to have to play a patient offense and do a good job of rebounding. Utah Jazz (28-32): The Hawks will see a familiar face when they go to Salt Lake City. During the trade deadline, the Hawks traded Shelvin Mack to the Jazz for a 2nd round pick. Shelvin has started some games for Utah and looks like a piece they will need down the stretch as they are battling with the Rockets for the 8th spot in the Western Conference. This should be a easy game for the Hawks to win, but Utah is a scrappy team and should not be overlooked. 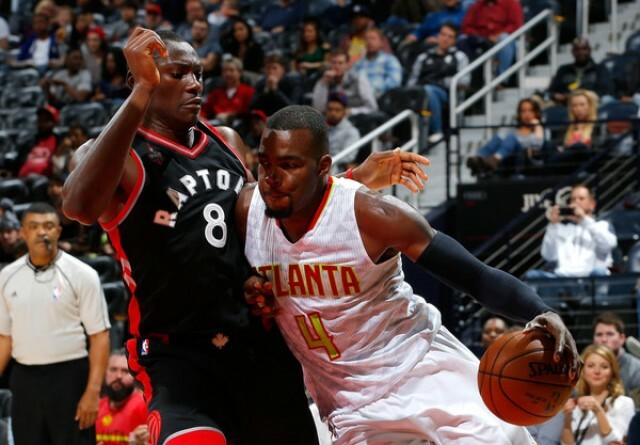 Toronto Raptors (40-19): Similar to the Hawks last year, the Raptors are one of the biggest surprises in the NBA this season. They are 2nd in the eastern conference and just 2 games behind the Cleveland Cavaliers for the top spot. The biggest storyline for this team is how successful they have been without Demarre Carroll, who signed with the Raptors this offseason after spending 2 years with the Hawks. Kyle Lowry and Demar Derozan have stepped up and increased their level of play, which has helped them get to where they are now. The Hawks may have a handful with this team, but if they can manage to slow down the explosive backcourt of the Raptors they may have a chance. How do you all feel about the Hawks current road trip?